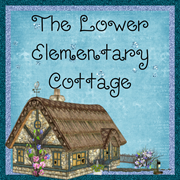 The Lower Elementary Cottage: Winter Break! I'm officially on winter break!! This was the longest week EVER!!!! I don't even know where to begin... There were definitely moments where I wanted to SCREAM this week. I wish I could blame small children who can't control what they do, but sadly it was grown ups driving me nuts this week. Between the lawyers and the "powers that be" at work, I went a little nutty. The gym, bubble baths, and wine were the only things keeping me sane! I teach at a private school where logic and functional school standards don't always exist. In some ways this is awesome! If I think of a great idea, I can just do it. I have free reign over every aspect of the inner workings of my classroom. I even got to pick my curriculum. But with the good, there is always the bad. They were about to enroll a PreK kid in my class for the rest of the year. I had a fit! I teach 3 grades at once as it is, add in a 4th and I might cry! Honestly... I did! Actual tears were in my eyes for a moment. The idea of preK, kinder, 1st, and 2nd grade all in the same room together all day with one teacher = nightmare! The kid is AWESOME and has my overwhelming approval to start in the fall, but just not right now. It would have made the age range 4-9 years old in the same room, which is just absurd! 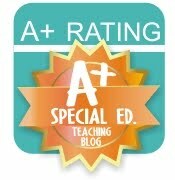 The range of standards for those grade levels is sooooo big. There is no way to teach the same concepts to these kids. Then add in special needs, so even teaching them separately doesn't work because they need a bunch of prompting and additional help. I was beyond happy when they told me late yesterday it was decided the student will wait until the fall to start. Then add in the day after Valentine's Day... There was yelling, crying, and chair throwing. Breaking routine is NOT good for kids with autism and other struggles! They are apparently replacing the carpet in my class this week while I'm on break. This meant I had to move a bunch of stuff so I can find it when I get back on Monday. My kids did not do well with things moved around. My ENTIRE class is on carpet, the idea of coming in Monday with everything in a different place makes me nervous! I moved all the copies and lessons for the first day back, and I'll do my best to go in before break is over to put the room back together. I'm at the mercy of the carpet installers and worker bees. 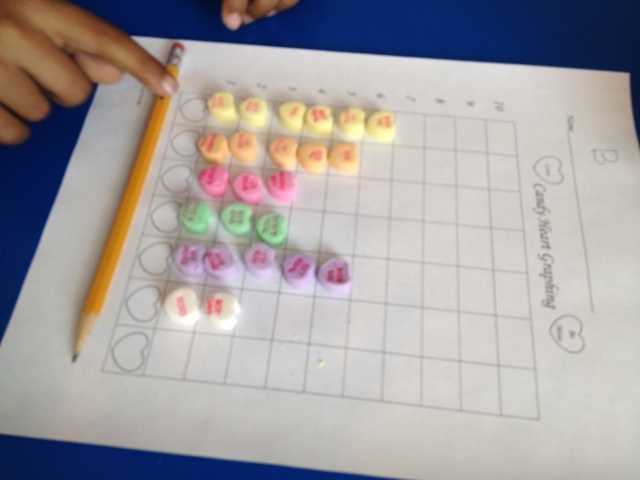 The one bit of fun this week was our candy heart graphing! We were so busy on Valentine's Day that I never got to it. It turned into our Friday afternoon surprise! Then the kids yelled at me that this "isn't math" and this is their "fun surprise!" I slipped and said "when you finish your math, you can use computers" and they didn't agree with me. Let them think graphing is fun, just don't let it slip that it's math in disguise! We even compared our data using "greater" and "fewer," then we added up our total numbers into a class data chart and compared the information again. I made a President's Day emergent reader that I never got around to teaching my own students. I'll have it posted for you guys before the weekend is over. Someone might as well put it to good use. It might as well be you! Also, I think I may take my time off to relax with some new TPT creations. I honestly really enjoy making this stuff! It's a chance to zone out and make things with cute clipart! I'm so excited to relax after this crazy week! I did some bridesmaid and wedding dress shopping with my sister today since she is getting married later this year. Plus, my good friend the speech teacher just had a baby that I finally get to meet this week! And there is book club AKA an excuse to drink wine with friends and maybe talk about a book for while. Which means I should probably finish the book... I have 4 days! 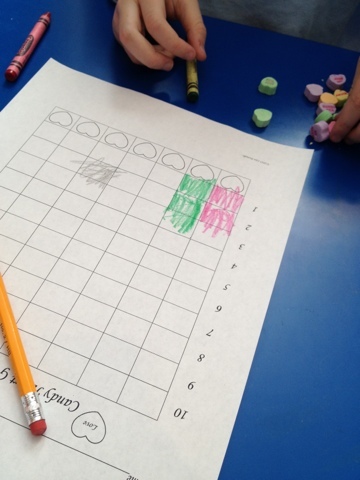 A couple pics of our graphing! Enjoy! Just read your posts on winter break and going to court. Well done for surviving all those challenging experiences. I am a homeschooling Mum, but I take my hat off to all that teachers have to cope with in a day. I think you did brilliantly. So glad your admin didn't put a preK student in your class. I CANNOT imagine 4 grade levels. It's so hard teaching multiple grade levels at once, especially to kids that can't work independently. Enjoy your time off. it sounds like you def need it!